FALL RIVER, Mass. (WPRI) – A fugitive wanted in connection with a triple homicide in Puerto Rico is on the run no more. Rhode Island State Police Maj. Joseph Philbin confirmed for Eyewitness News that police captured Pedro Torres in Fall River Thursday. While the details of the arrest have not yet been released, Philbin said authorities had been watching a location in the city hoping Torres would return and he finally did. Police from several Rhode Island agencies began searching for Torres, 36, after U.S. Marshals spotted him on Orms Street in Providence last month. They conducted a massive manhunt Aug. 19, canvassing the area north of the train station and some mill buildings on Charles and Canal Streets, to no avail. According to state police, Torres was considered to be armed and dangerous. Philbin said Torres was released on bail after his arrest in Puerto Rico. 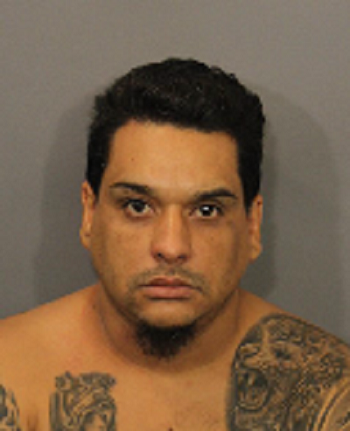 Police say they believe Torres came to Rhode Island to visit his girlfriend and baby daughter. In fact, he was visiting his girlfriend last year when police arrested him on a warrant. According to Fall River Police, Torress will be held overnight and is scheduled to be arraigned on Friday.